Who or what represents Durham to you? The Durham Arts Council invited visual artists to submit work that captures the spirit and diversity of the Bull City. Selected pieces by 64 artists are included in the “Portraits of Durham,” are on view at the Durham Arts Council March 15 – May 2, 2019. The “Portraits of Durham” exhibit coincides with Durham’s official sesquicentennial commemoration, Durham 150. The themes explore Durham 150’s mission: recognizing Durham’s past, present, and future, honoring the changemakers who shaped Durham’s unique sense of place, promoting ideals of inclusiveness and shared prosperity, and celebrating the community’s spirit, values, and accomplishments. Kristin’s “Hope” represents a personal connection to the Ronald McDonald House Durham and “Fresh from the Market” the Durham Farmers Market, a favorite spot for subject matter. This piece is a tribute and represents the care and Hope The Ronald McDonald House of Durham gives to families of seriously ill children in the City of Medicine. Five years ago my family found ourselves staying at the RMHD and in the care of Duke and Durham medical teams. After moving here to be closer to care, I have since volunteered at The House and given back with my art. 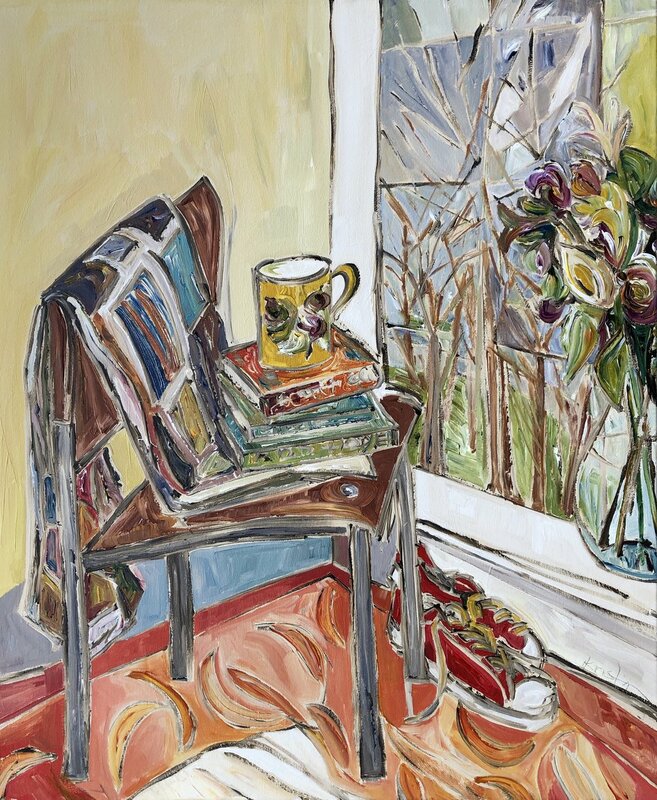 My painting features a dining room chair from the RMHD as well as the “red” shoes and a hand made quilt received during our stay, set in a bright spot that symbolizes what the House gives to guests and to Durham as a whole. During my time staying at the RMHD, visits to the Durham Farmers' Market were a welcome respite. Since moving here full time, the Market remains a favorite destination in Durham. A vibrant and quintessential part of the fabric of Durham, bringing together the community and farmers and artisans and bakers and families and musicians and more. Embracing diversity, sustainability, local economy and neighborhood values. 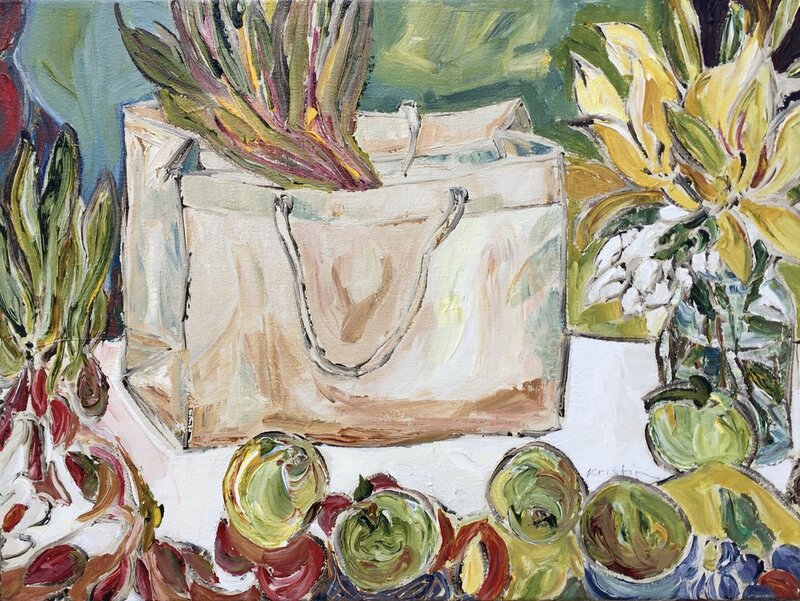 Much of my fresh subject matter derives from weekly visits, such as the locally grown fruits, flowers and vegetables in this painting.